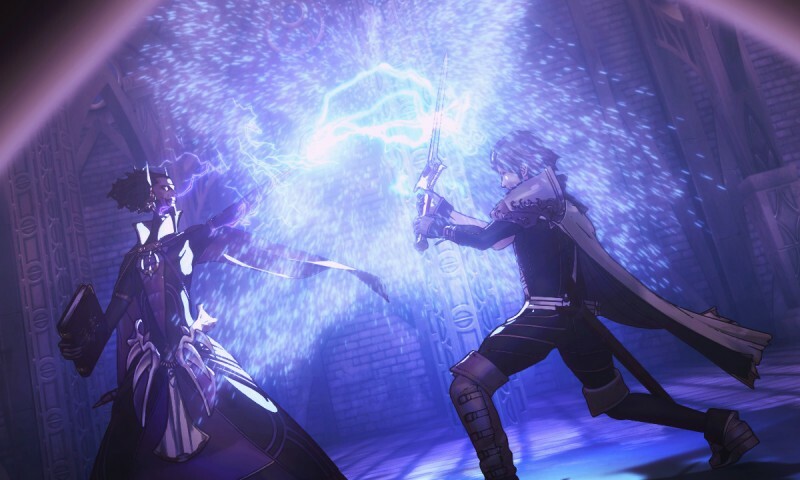 Loss, uncertainty, and the fear of making a mistake with your next move fill Fire Emblem: Awakening with undeniable intensity. 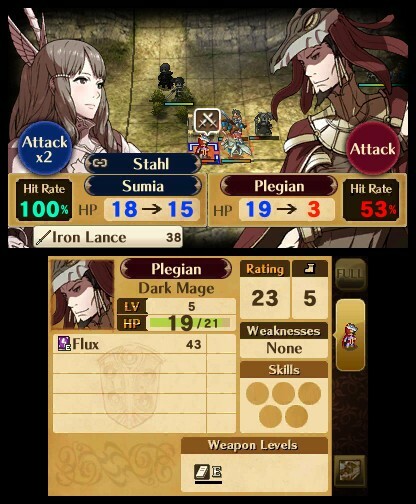 Awakening makes you think long and hard about every move, but its standout achievement is enhancing the classic formula to create one of the best strategy/RPG experiences I’ve had in a long time. 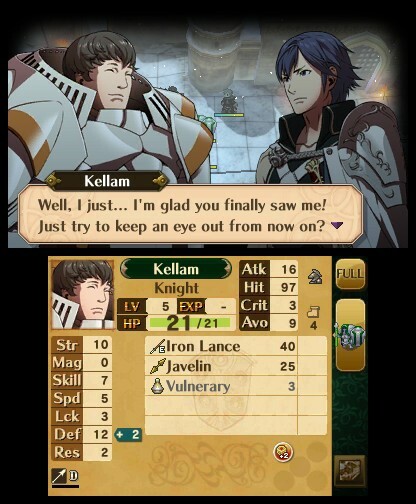 Combat is the shining star of Awakening. Systems work so well that it feels like battles have infinite, unpredictable paths to success or failure. 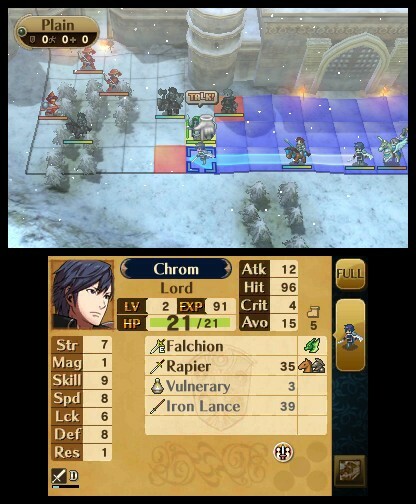 For instance, placing units next to each other gives bonuses, such as increased odds to dodge. Characters also build relationships over time, occasionally providing additional attacks or blocking incoming strikes. However, assistance is never a given; all you can do is deepen relationships and increase your odds. You can also combine two characters to create one super-unit. This comes in handy when a unit is low on health. Instead of leaving one character vulnerable on the battlefield, pairing keeps them safe, acquiring the other character’s HP. As characters level up, they can be promoted to bigger, badder classes. Promoting someone brings them back to level one, but it's worth it because they're much more powerful. Promotions usually let you choose between two disparate classes - some give significant attribute boosts, while others let you wield more weapons. Watching your customized characters grow is one of the high points of the game, giving a sense of accomplishment after hard-fought battles. Maps also come with a variety of advantages and disadvantages. 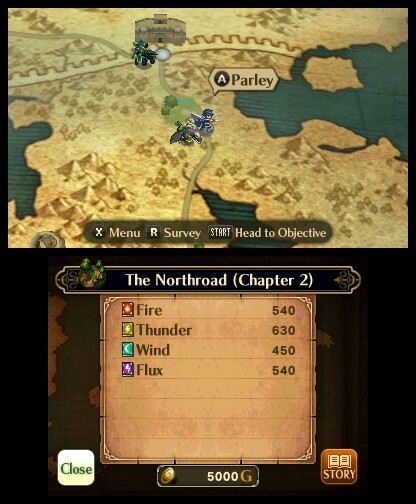 Different terrains impact movement, while forts refill health each turn and decrease enemies’ hit chance. Other squares, such as staircases, spawn enemies unless blocked by a friendly character. All of these elements provide a spontaneous, challenging puzzle to overcome against-all-odds battles. 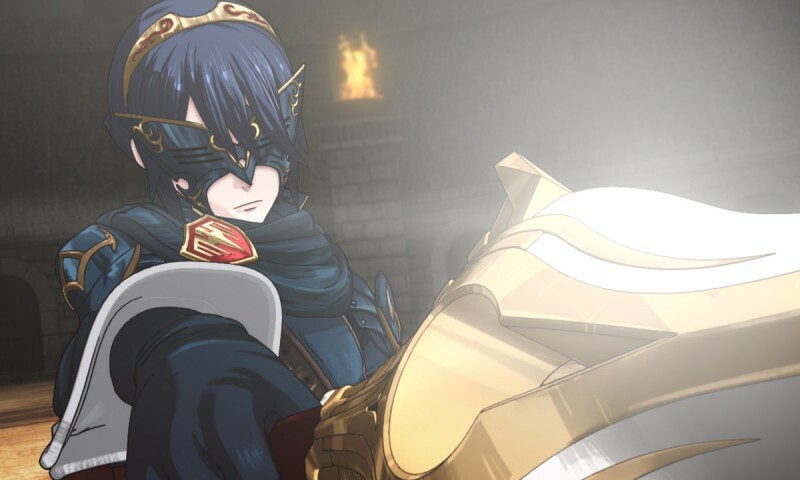 Fire Emblem games have never handed out victories easily, and Awakening is no exception. The margin for error is slim and the AI is sharp. If you leave a combatant vulnerable, expect swift vengeance. 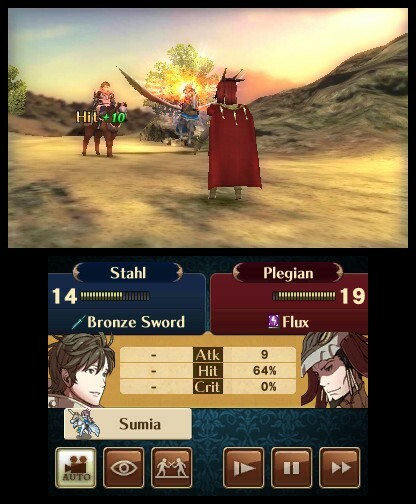 Intelligent Systems has offered the option to disable permadeath, but I recommend you keep it on. Permadeath added intensity to my choices, kept me on the edge of my seat, and created an unmatched sense of accomplishment. It made me feel like I was a commander who could potentially send soldiers to their death. But that doesn’t mean Awakening is perfect; some battles feel more about luck than strategy, no matter how stacked the odds are in your favor. Check out our Test Chamber above for a deeper look. Unfortunately, the story doesn’t carry the same allure as the combat. 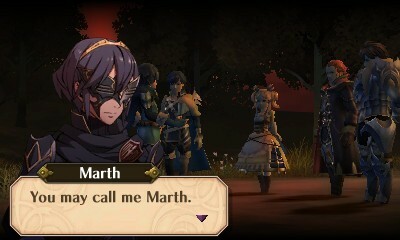 In the midst of a war over the sacred Fire Emblem, your customized character initially battles amnesia. It’s not until the second half that the story heats up, focusing instead on changing fate. The concept is clichéd, but becomes more interesting as plot twists hit later. Revelations come at the right moments, with just enough detail to avoid predictability. 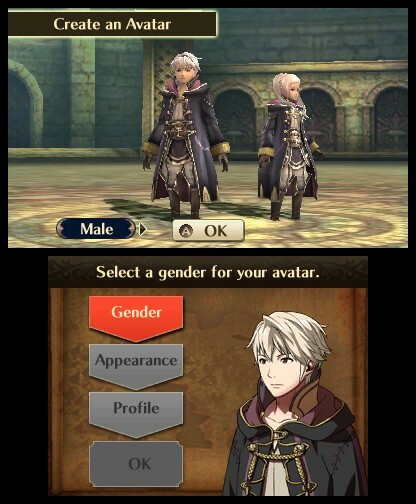 Fire Emblem impresses with its large, colorful cast. For me to care about individuals in such an expansive roster is a huge feat. 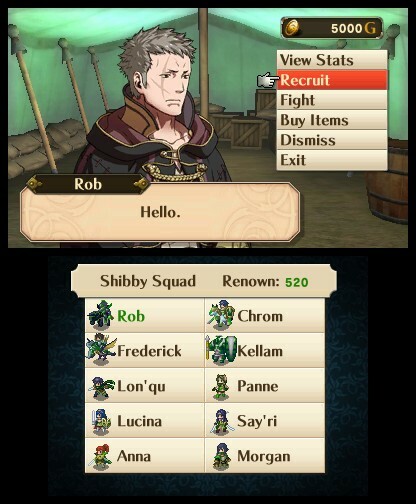 Between battles, characters that were placed next to each other may interact in skits called support conversations. The banter gives an interesting look at each character’s personality, revealing unexpected foibles. Get two characters’ support level high enough and they marry, but even more thrilling is that later in the game, you’ll find their children in side quests that you can recruit into your party. 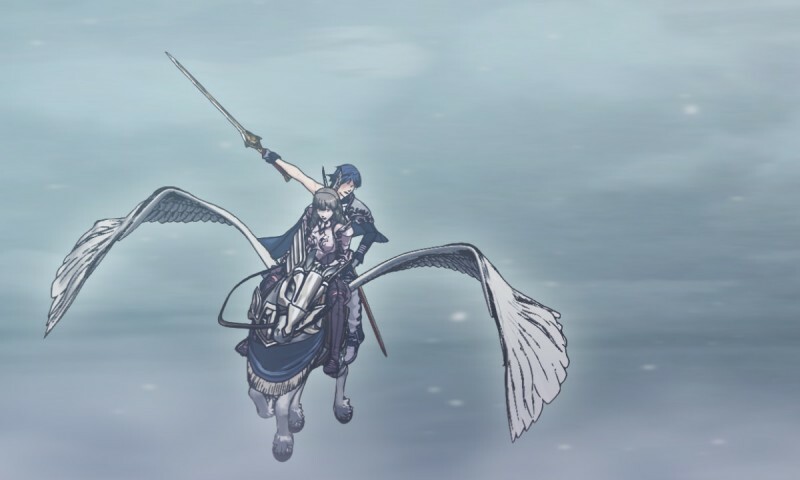 This creative feature is just the quirk Fire Emblem needs to stand out. During my time with Awakening, I always had a reaction to what was going on around me. My heart raced as I watched enemies close in on an injured character, and I found myself devastated if I executed an action that cost me the match. 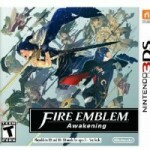 Awakening made me scratch and claw for victory, and I savored every moment. Loss, uncertainty, and the fear of making a mistake fill the game with undeniable intensity.